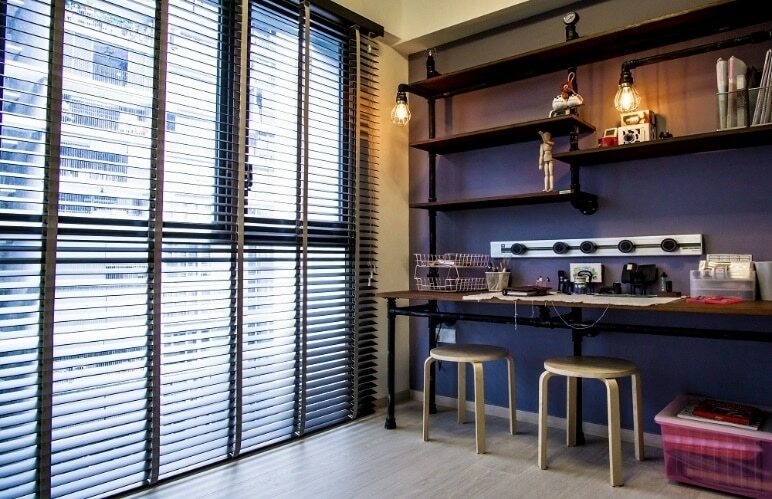 If you’ve got a plain study area or home office, then you can design it in a fun and tasteful way by using an industrial style desk. The customized visuals of this desk can be suited for any profession. This image shows a beautiful interpretation of this aesthetic. The navy-blue background wall, the use of exposed pipes in the shelves, and the vintage furniture choices all come together to deliver a truly distinct space! If nothing else, then you can just be eclectic with the actual formation of your furniture layout. This not only enhances the efficiency of the space, but also provides some great ideas for you to get innovative with the layout. This bedroom is the perfect example. 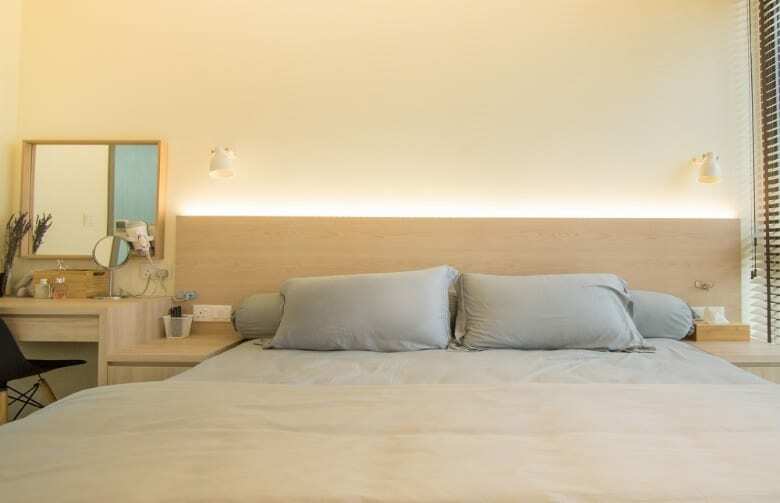 The customized nightstand come dresser layout gives much more coherence to the whole space and comes off as totally innovative at the same time! Conventional wardrobe designs are so outdated – it’s time to get eclectic with this particular home interior element. 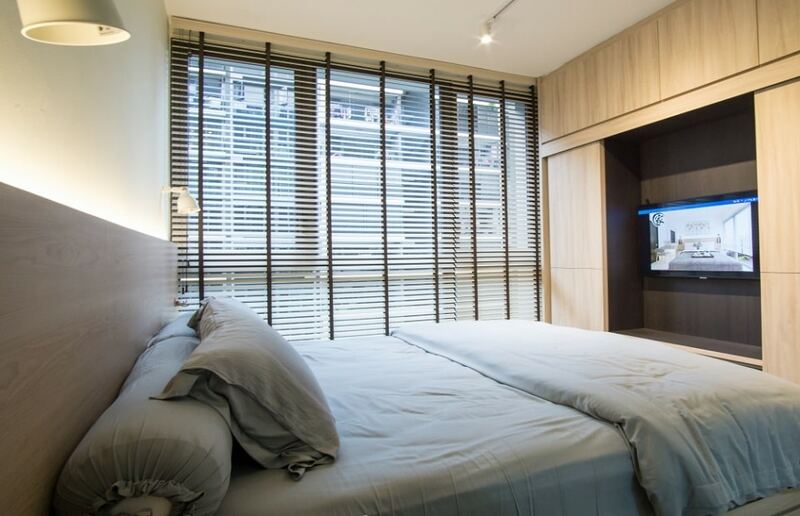 You can merge its design with the bedroom media wall to create a camouflaged aesthetic. This way, the peripheral part of it can be a wardrobe, while the central half can open up to reveal a hidden media wall. 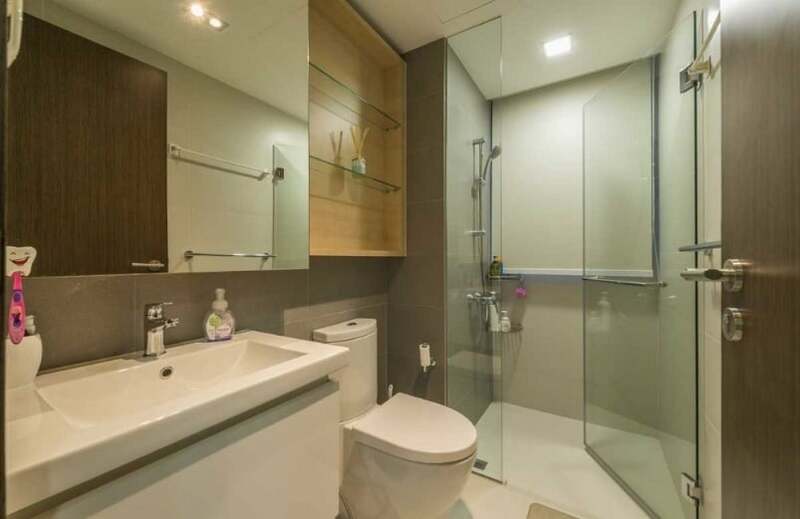 With small style bathrooms that are found in most Singaporean homes, they layout always has to be pretty standard. But you can definitely have fun with the smaller features like vanity cupboards and fixtures. A great way to be eclectic in your bathroom interiors is by customizing the vanity cupboards – you can include as many shelves as you like, control the shape, form, and overall look easily this way. 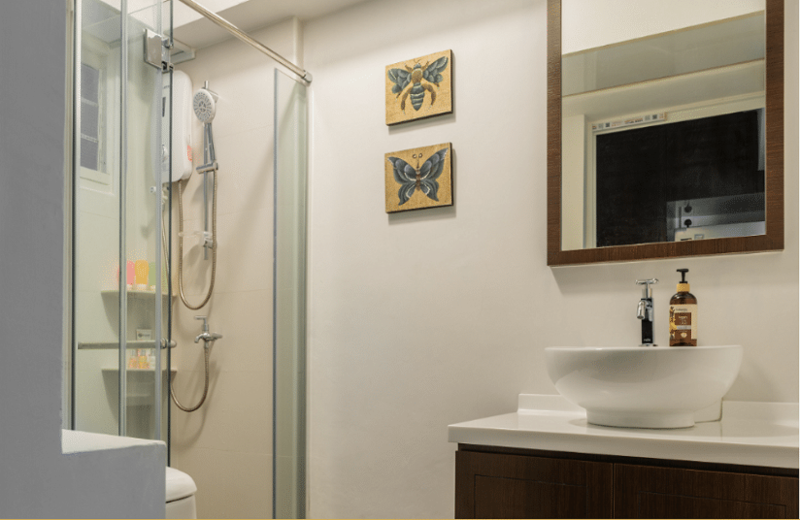 Another way to be eclectic with your bathroom interior designs is by using artwork to spruce up the ambiance. The type of art you choose can end up determining how your ambiance turns out. Some use retro art to set their bathrooms apart, while others go for simple and more understated graphics.